A Garden Oasis, Décoré W / Mobilier & Art originale du monde entier. Aloha! Nous rénové cette maison hawaïenne ancienne afin qu'il aura le charme du vieux Hawaii avec des commodités modernes. Le bungalow est au niveau d'une maison de 2 étages sol. La propriété 1/2 acres est à double fermée (côté rue et côté de la plage). Cette oasis de jardin (nous avons planté plus de 3000 arbres et plantes) est l'endroit le plus impressionnant - situé juste à l'entrée de Kailua Beach Park - sortez par la porte arrière et vous êtes à 100 pas de Kailua Beach, où vous trouverez 2. 5-miles de son sable blanc et turquoise doux célèbre eau - - souvent classés dans le top 10 des plus belles plages du monde. Promenade sur la plage, nager, kayak, wind-surf, kite board, body surf, plongée, randonnée, marche / jogging la boucle Lanikai (4 miles autour de porte-à-porte) - il y a une abondance d'activités amusantes ici ... ou , complètement se détendre et se détendre - il est très facile dans ce bungalow calme et isolée. Grande retraite pour un maximum de deux facile à vivre, non-fumeurs (puisque nous demandons ne pas fumer ne importe où sur la propriété) adultes (18 ans et plus seulement). Nous acceptons les réservations qui commencent et finissent sur toute combinaison des jours suivants: Jeu-Soleil. Les plaques, argenterie, verres à vin, literie, serviettes, etc. sont tous de qualité supérieure. Lit Queen. Des chaises de plage, des serviettes de plage et une glacière - un fer et une planche à repasser - un sèche-cheveux, etc. Le bungalow est situé dans un quartier résidentiel. Pour être de bons voisins, nous demandons que nos invités ont pas plus de 2 personnes supplémentaires sur la propriété. Cheri and Scott were the most amazing hosts for my parents again who are both in their 70’s. Genuinely caring and attentive to their needs. Could not ask for a better place for them. Aloha Pumehana Cheri and Scott - I was born at a hospital in the Punahu area of Oahu and raised in a Kailua in Kainalu Road - went to Kainalu School, Kailua Intermediate, Kamehameha School and graduated from ailua High School Class of 1968. This is the first reunion I attended ( now 68 years old and my home is on the Big Island in Volcano Village) I can assure any potential guests that this home and surroundings capture the essence of the REAL Hawaii . From the ALOHA shown to us as we approached - both of you bearing a cold niu (coconut) water in beautiful glasses to the introduction and embrace of the property. My dreams of living on the sands of my birthplace became REALITY - Each and everyone of you that read these comments please allow this place to be your accommodation while in Hawaii - you will truly experience true Aloha not a manufactured one experienced in Waikaki. My best high school friend and I relived the Aloha of our youth of the 60's in our Hometown of Kailua. Aloha Val ( Big Island) and Kia Ora from Kathy ( Aotearoa/New Zealand. The suggestions provided by our hosts were wonderful. Very helpful and informative as we were on the island for a wedding and had no major plans so just opened their ‘suggestions’ binder and made an amazing week of it! Parking in Hawaii can be tricky but if you stay here, you can walk to both beaches and most eateries in Kailua! Convenient, comfortable, well organized hide-away that balances indoor and outdoor needs. 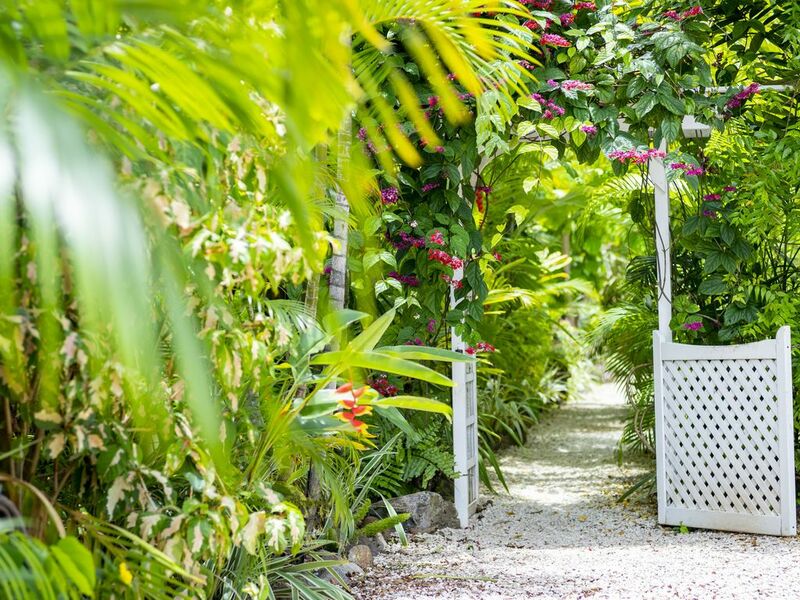 Blends in perfectly with the natural beauty of the island and small town charm. Beautiful gardens, comfortable accommodations and a primo location made this Kailua Beach bungalow a gem. Our bungalow was equipped with everything we needed and our gracious hosts were helpful and available when we needed them. Really hated to leave and already planning a trip back. Cheri and Scott are truly the perfect hosts, very welcoming and genuinely interested in making our stay enjoyable in all regards. For us, their place was the ideal oasis for a a restful stay. Unbeatable location with close proximity to one of the most beautiful beaches in the world, close to shopping and still secluded in a wonderfully designed tropical garden. Wow! We can definitely recommend to anybody without hesitation, you will not be disappointed. We will be back!